Reverse Mortgage Solutions dominated the reverse mortgage securities issuance landscape in 2013, with 30% or $2.9 billion of the $9.6 billion market. According to a full year tally conducted by New View Advisors, RMS was followed by Urban Financial and Live Well Financial, with 25% or $2.4 billion and 12% or $1.1 billion of the market, respectively. HECM backed mortgages securities issuance was the highest in three years in 2013, due in part to a per-unit rise in originations for the year. Further, New View notes, the 1,023 pools issued during the course of the year “shattered” the previous record of 628 set last year, driven by a surge in “Tail” securitizations completed in 2013. “Tails,” New View explains in its commentary, are participations in previously securitized HECM loans that are created by excess interest and additional amounts including line of credit draws and mortgage insurance premiums. The uptick in tail issuance should be viewed as a positive, New View notes. “For a reverse mortgage industry beset by financial and political pressures, the annuity-like profits from tail issuance are a stabilizing and beneficial feature during these dog days,” New View writes, explaining the advantage to the issuer. Overall, the HMBS market spanned 12 issuers in 2013, including several legacy issuers. 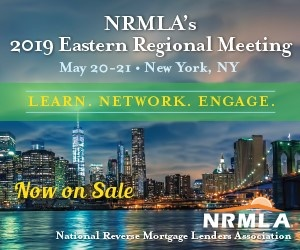 Led by RMS, Urban and Live Well, the remaining issuers included Generation Mortgage, American Advisors Group, Nationstar, Liberty Home Equity Solutions, Sun West, Bank of America, Plaza Home Mortgage, Onewest, and Silvergate Bank, in order of issuance total. View the issuers ranking and full New View Commentary.